Friday night, Liberty County High School fans celebrated a 79-77 win against the Brantley County Herons. The game was intense, keeping spectators on their toes until junior, Albert “Spud” Dock scored the winning free throw, securing the win for the Panthers. However, Saturday morning, the Panther community mourned the loss of their second leading scorer of the night. Just hours after the Panthers’ region win, Albert Dock was killed in a car accident caused by a drunk driver in Midway. Georgia State Patrol says the driver of the offending vehicle, Antoine McLendon, had hit triple digit speeds on Oglethorpe Highway before rear ending Dock’s car. Two other teenagers were also in the car and were transported to the hospital after the accident. A prayer circle for Dock was held on Sunday at Liberty County High School. The community mourned the loss of their star basketball player, who averaged 7 points per game in his high school basketball career, and who fellow students remember as a positive addition to their school. The 2019 basketball season was Dock’s second round on Liberty County’s varsity basketball team. In addition to averaging 7 points per game, Dock also averaged 1.1 assists and 2.9 rebounds per game. 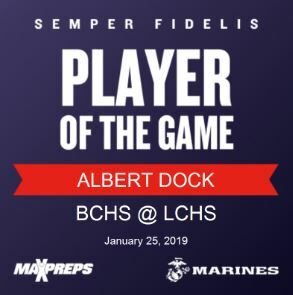 MaxPreps named him Liberty County Player of the Game for sealing the deal and winning last Friday’s Region 2-3A game. If you wish to support the family in this time please donate to their GoFundMe. Fellow students remember Dock as a joy to be around, and a student who brought smiles to the classroom and the community. 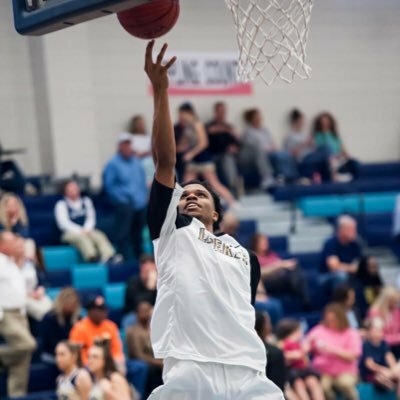 On Tuesday night, as they prepare to take on Appling County in the first game since Albert’s passing, Liberty County plans to honor their teammate. The team will wear his No. 2 on their warmups, and his jersey will be will have a special place on the bench. A presentation will be made for his mother at halftime. Tip is set for 7:30 at Liberty. Albert Dock is a student and athlete who will truly be missed throughout the community.